Elizabeth Olsen as the Scarlet Witch. We often assume that Marvel’s long-term plans for characters who’ve played vital roles in the Cinematic Universe will involve them making appearances in subsequent movies, but the studio recently threw everyone for a loop when it announced a pair of upcoming television series focused on Loki and the Scarlet Witch. Because Tom Hiddleston’s Loki has been a fan favorite character and one of the MCU’s most charismatic villains ever since he first appeared in 2011's Thor, it’s not at all surprising that Marvel would try and capitalize on his popularity with a show. 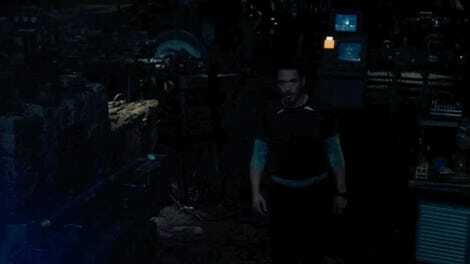 But things are a little different with Elizabeth Olsen’s Scarlet Witch. 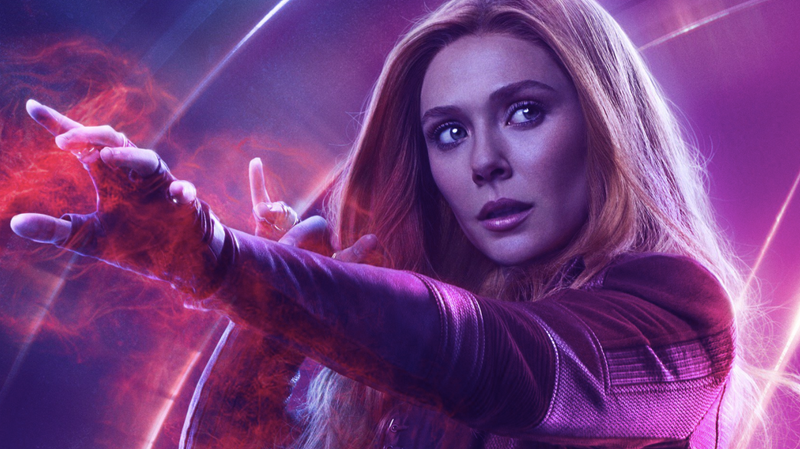 Though Wanda Maximoff has played key roles in four Marvel films at this point, none of them have exactly tapped into the character’s vast narrative potential that’s made her so formidable in the comics. There are reasons for this, of course—like the film rights issues that once plagued Disney and Fox’s relationship and the fact that it’s rare for new characters to fully take the center stage in Marvel movies. Also, the Scarlet Witch’s canon lore is, at best, complicated, and at worst, convoluted to the point of near-incomprehensibility. While this has made it somewhat difficult to incorporate Wanda well into movies like Avengers: Infinity War, it’s something that makes the prospect of a Scarlet Witch series something to get very excited about. With Marvel soon to be in possession of all the X-Men cinematic rights Fox once owned, the studio’s finally going to be in a position to use parts of the Scarlet Witch’s old comics canon the studio previously couldn’t. Mutants, Mephisto, and reality warping could all very well become an important part of Wanda’s cinematic depictions in the future, but a strong Scarlet Witch series would do well to start small and hone in on Wanda’s personal life—all the things that make her tick. With Sokovia destroyed and all of her biological relatives presumably dead, MCU Wanda doesn’t really have much in the way of family outside of the Avengers right now. The same is often true of Wanda’s comics counterpart, who, aside from her twin brother Pietro, her former lover the Vision, and her longtime mentor Agatha Harkness, is largely alone in a world that’s feared and hated her ever since she first stepped onto the scene as a supervillain under Magneto’s tutelage. Marvel’s more recent comics have used this aspect of Wanda’s life—her solitude—as a kind of jumping off point for a bigger exploration about who she is and where her familial roots lay. With the right kind of tweaking, it could also be the basis for a TV series, capable of turning her into a properly compelling on-screen character. James Robinson’s Scarlet Witch comics series finds Wanda at a point in her life when she’s returned to the public eye as a semi-active hero in a world still dealing with the catastrophic fallout of her most recent mental breakdown which tore reality apart, remade it anew, and culminated in the decimation of mutant kind. After years of being known for her incredible power and psychological instability, Wanda wants and needs to get to a place where she can better understand herself. So she sets out on a personal journey that takes her into the darkest corners of her mind and to magical planes of existence that reveal new truths about her family’s history and how she fits into the larger scheme of things. Before Wanda was an Avenger or a member of the Evil Brotherhood of Mutants, she was a Maximoff borne to a long line of formidable magic users, at least one of whom was known as the Scarlet Witch before she adopted the moniker for herself, not knowing its spiritual and generational significance. More than any of the High Evolutionary’s twisted experiments (more on that here), the magic coursing through Wanda’s veins is the source of her raw power, and when the whole of the world’s magic becomes “sick,” she takes it upon herself to investigate the source of the illness. Wanda performing an exorcism in Scarlet Witch #1. As Wanda digs deeper into the mystical disturbances popping up both in her own backyard and in far-off countries, Scarlet Witch fleshes out the ways in which its heroine’s connection to magic is part of a grand design, something her fellow witch Agatha was always loathe to fully explain to her. After facing the ghosts of vengeful nuns, minotaurs, and possessed detectives, Wanda travels to the Witches’ Road, a kind of nexus between realities from which the pure essence of magic emanates. There, she finds some answers about the mysteries she’s trying to solve about others, but she also encounters her mother, Natalya, the previous Scarlet Witch. Though Natalya isn’t exactly aware of who Wanda is, their crossing paths is a significant moment for the both of them, in no small part because of the way that their family has a history of being persecuted because of their being both literal magic users and Roma people. The transient nature of Wanda’s identities and team affiliations has always been one of the more confusing aspects of her depictions in Marvel’s comics. But it’s something that, in a way, is also reflective of what it means to be a person without a people or home. It’s not so much that Wanda’s ever really lost, exactly, but rather that she’s in a state of flux and transition as she moves forward. Despite (or perhaps because of) the chaos that constantly surrounds her, she has to keep moving forward because it’s the key to her survival. Wanda’s encounter with her mother factors largely into Scarlet Witch’s more traditional story about saving the world, but it also inspires Wanda to take some time for herself and look back on the devastating moments in her past she’s still trying to come to grips with. Over the course of multiple therapy sessions, Wanda’s able to speak frankly about what spending a lifetime of being lied to, and somewhat waylaid by those who love her, has done to her mentally and emotionally. Her previous attempt at living a “normal” life with the Vision—which involved her conjuring up twin boys borne from a piece of a demon’s soul—ended in the sort of tragedy that would break anyone who simply wanted to be happy. But Wanda gradually comes to understand the importance of being able to forgive yourself for past mistakes, and know that you really can’t hide from those kinds of demons. Healing from that trauma isn’t about forgetting or erasing it, it’s about accepting it as part of who you are and using it to make you stronger. Wanda discussing her life in therapy in Scarlet Witch #8. Wanda is a work in progress in every sense of the phrase, and while Marvel would be silly to tackle the whole of her background in a single season of television, it’d be even more foolish to steer clear of it entirely. What the Marvel Cinematic Universe’s Scarlet Witch needs is drive and purpose. She needs a reason to set out on her own without the Avengers by her side so that we can see her as a fully-realized person with dreams and desires of her own that don’t involve Tony Stark and Ultron’s progeny. She needs to introduce a new kind of magic that sets her apart from Doctor Strange and lays the groundwork—if only a bit of it—for the kind of important story that might require the Avengers’ attention somewhere down the line. What Wanda needs, frankly, is for the Scarlet Witch series to be good.